Located on the idyllic northeastern coast of Bali and at the foot of Mt. Agung lies Bali's premier dive resort. 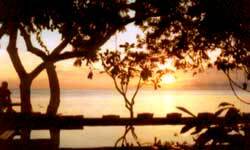 The superb Mimpi Resort Tulamben with 13 Patio Rooms, 12 Deluxe Cottages and 4 Ocean View Cottages. Designed in traditional Balinese style, all rooms are air conditioned with private outdoor showers and minibars. A beautiful open-air dining room is open all day, serving breakfast, lunch and dinner. Dedicated to the serious dive enthusiast, the Mimpi Resort Tulamben provides the perfect setting for a relaxing holiday whilst exploring some of Indonesia's most interesting underwater adventurelands. The wreck of the USS Liberty lies just offshore and instruction by experienced professional PADI dive instructors is available, as is rental equipment. - 2 nights stay in Patio Room at Mimpi Resort Tulamben. - Set lunch and dinner on day 2. - 1 guided dive on the Liberty ship wreck. - 1 guided dive at Mimpi or Kubu drop-off. - Transfer back to Denpasar airport. 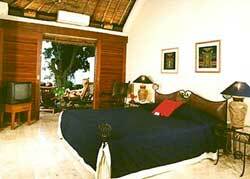 - 3 nights stay in Patio Room at Mimpi Resort Tulamben. - 2 guided dive on the Liberty ship wreck. - 2 guided dive at Mimpi or Kubu drop-off.